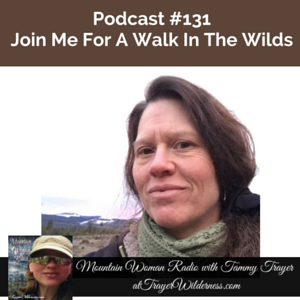 March 30th, 2016: In today’s show I take you with me for a walk in the wilds and spend time catching up with you for the first time since my surgery. I spent time talking with you about my illness, my faith and just the happenings of life. Join us at Sustainable Preparedness Expo in Spokane, WA on May 15th. For more details: http://susprepexpo.com.